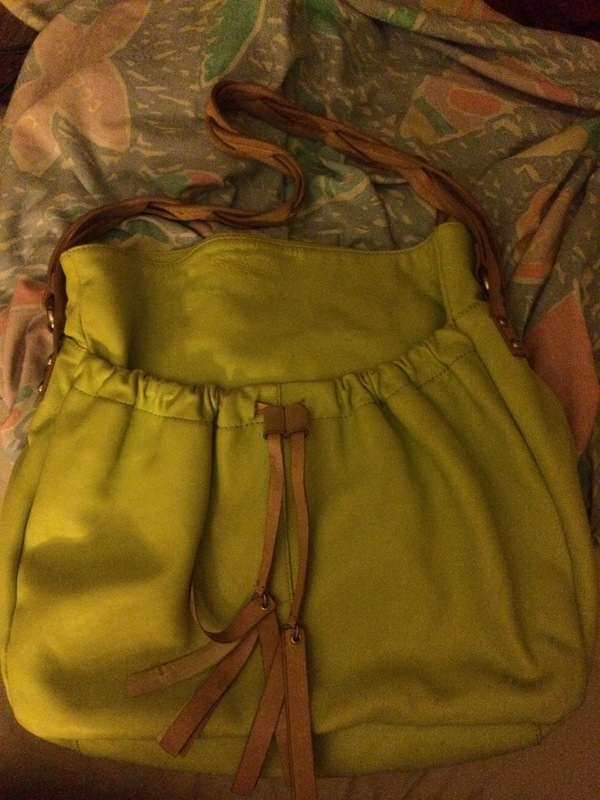 Calvin Klein structured hobo in chartreuse. 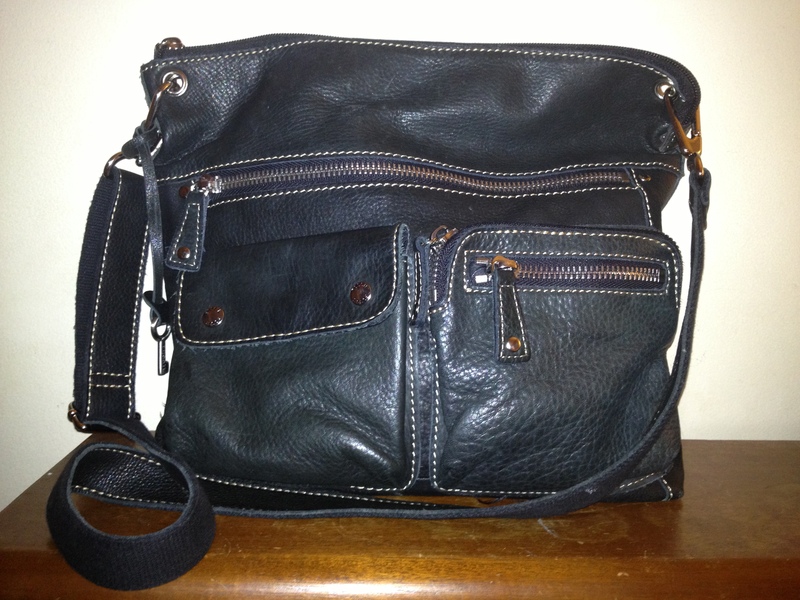 This is a sooooffffftttttt bag, and the leather is spectacular. Front and back pouches perfect for keeping phone and keys separate but accessible. I picked this up at Clothes Mentor a few years ago. It’s great with black instead of yellow, so you don’t get the bumblebee effect. Have fun this modern, colorful bag. The little leather tassels in the front could use a bit of Tacky glue or Gorilla glue or something like that. Email me at 50favbags@gmail.com with bag 12 if this catches your fancy. 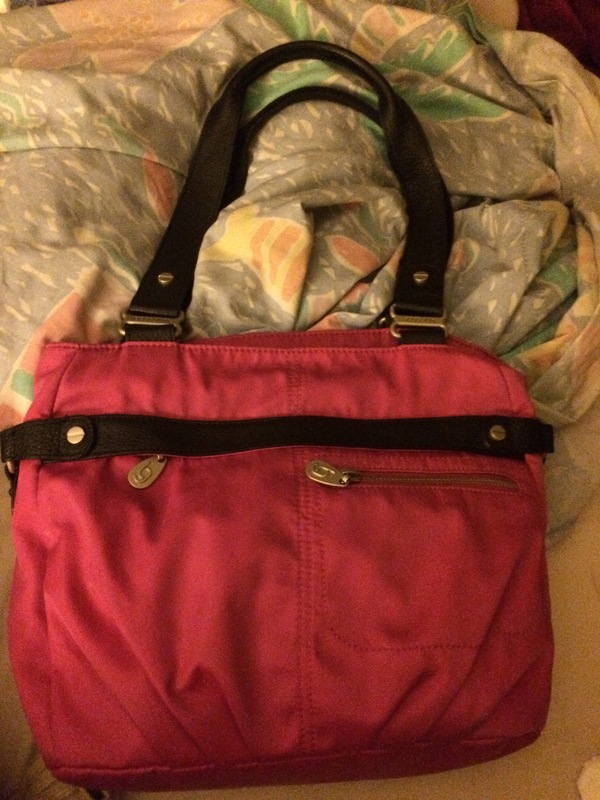 This entry was posted in 2019 Lent Bag Giveaway, various places and tagged calvin klein, chartreuse, hobo, Leather, Lent, structured on March 19, 2019 by miriamgmck. Calvin Klein in chartreuse made my rainy day brighter. Many of you know that I’ve changed my attitude about the weather. It’s going to do what it’s going to do, so i get the right gear and head out with a thankful attitude for the gift of another day. I have colorful purses that I save for rainy days. Gotta use my red umbrella so the buttery leather doesn’t get wet. This entry was posted in various places and tagged calvin klein, chartreuse, Clothes Mentor, Handbags and Purses, Leather on April 23, 2018 by miriamgmck. If you’ve been here before, you know I like Calvin Klein bags and clothing. Cool, modern, clean lines, and in my size. Their activewear is great too. Anyway. 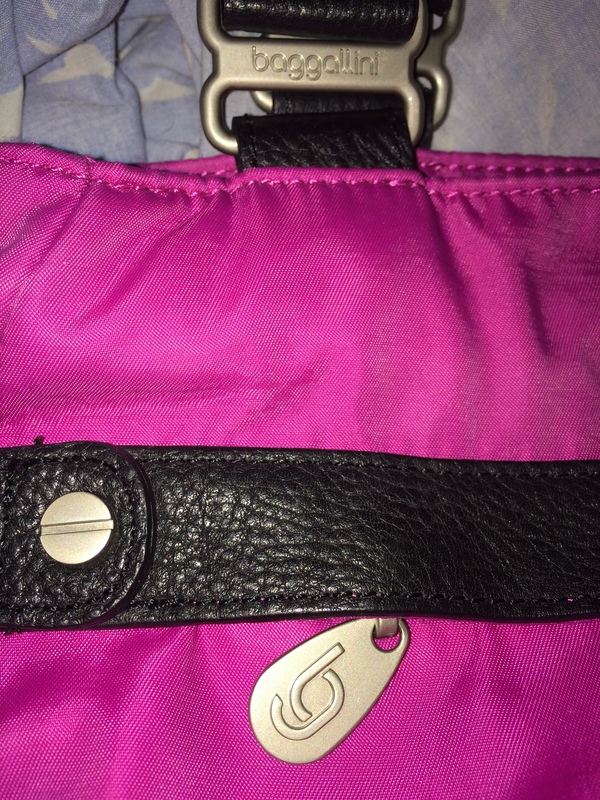 I had an amazing CK bag stolen a few years ago and I’m still trying to replace it. So when I see a cool Calvin Klein purse, I buy it in the moment and regret it later. So I get to give you a cool bag with a short shoulder strap but plenty of room for a magazine and your water bottle. Email me at 50favbags@gmail.com if you like bag 7. 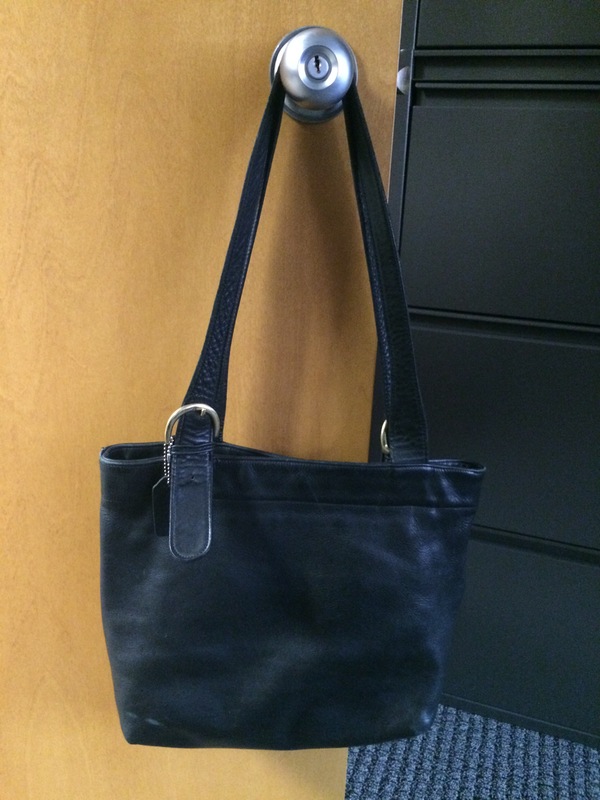 This entry was posted in 2018 Lent bag giveaway, thrifting, Uncategorized and tagged black, calvin klein, giveaway, Handbags and Purses, pebbled leather, shoulder bag, st. vincent de paul, thrift store, thrifting on February 21, 2018 by miriamgmck. Well, she did it! Our girl graduated from Bowling Green State University, and in her honor I carried this orange – and i do mean ORANGE Latico slouchy tote. I got this one at TJ Maxx a couple of years ago when orange was the color of the season. Like i always say – if you love a color, or marginally like it, get it while the getting is good. I looked for months before i found an orange i could tolerate at a good price. 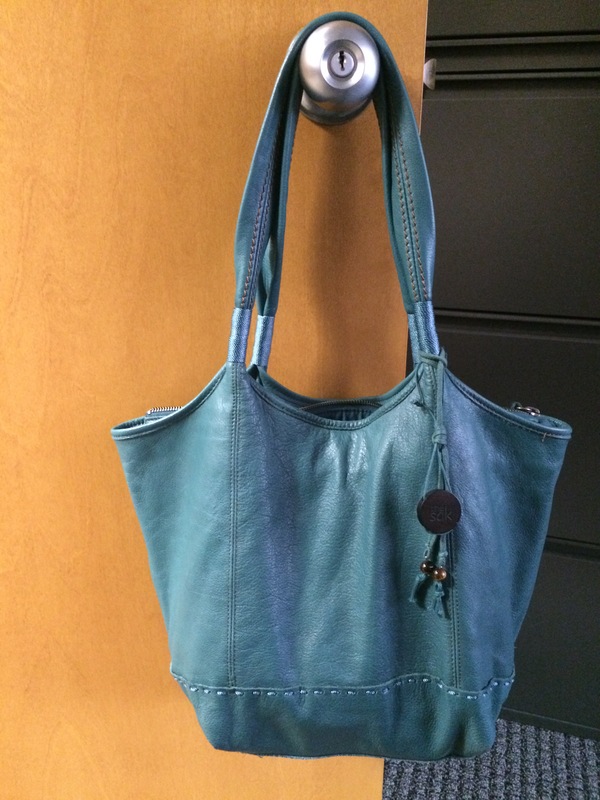 Latico bags are saturated with color, with the most supple, soft, scrunchy leather. It does have black hole qualities, but that’s ok. It’s a looker. I’ll get caught up yet! This entry was posted in various places and tagged calvin klein, chartreuse, Clothes Mentor, Latico, orange, resale, tj maxx on May 12, 2017 by miriamgmck. 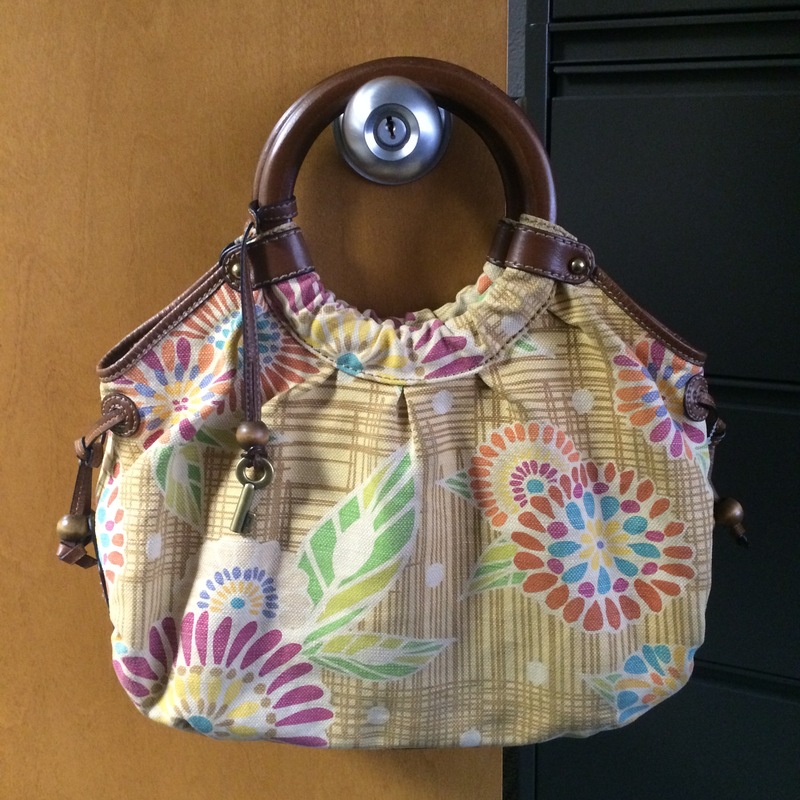 Five years ago this summer, my purse was stolen out of my car. Losing that particular bag was by far the worst part. That Calvin Klein snakeskin patterned leather hobo was by far one of my top five faves of all time. 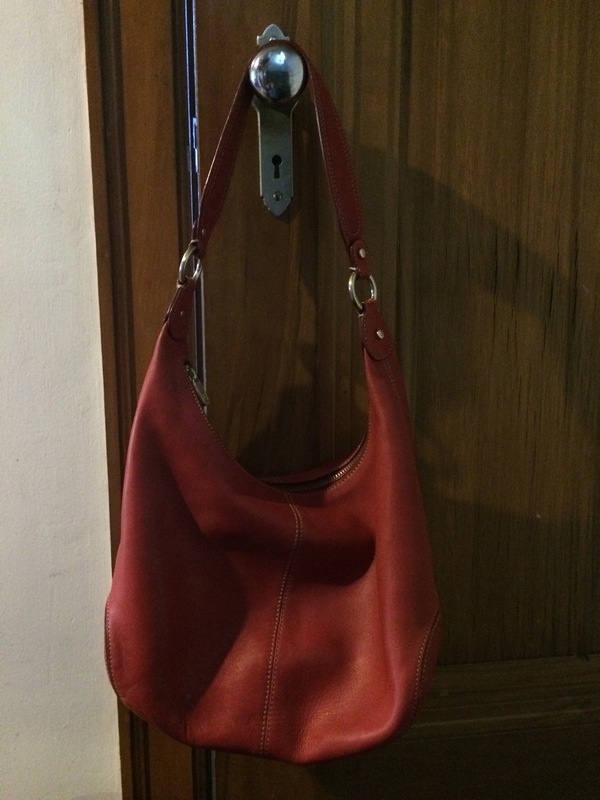 Last summer in Connecticut, at Goodwill, I found this bag made of the same leather with the same style hardware, but it’s smaller with a front flap closure over a zipper closure. I had to face it, it’s just too small for me. 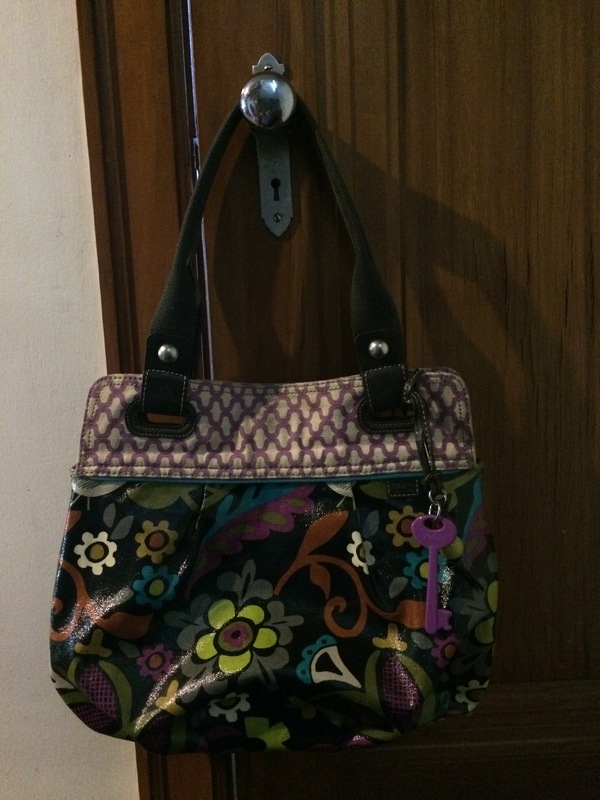 So if you like beautiful used designer bags, grab this cutie. Please mail me at 50favbags@gmail.com. 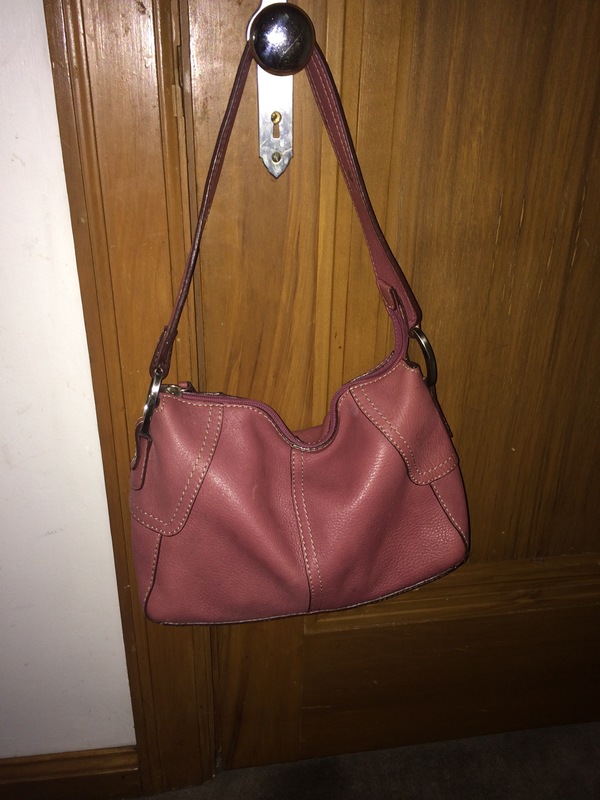 This entry was posted in 2017 Lent bag giveaway, thrifting and tagged black, calvin klein, goodwill, Leather, snakeskin, thrifting on April 7, 2017 by miriamgmck. Since there are so many days, i’ll just do photos and a short post. I have been vigilant in practice, but not in sharing. To remind you of what I do during Easter, I carry a different bag every day for 50 days. Switching bags every day is both fun and a drag, but mostly fun. Forcing myself to delve into my collection and use them is the fun part, the challenging part is getting everything from bag to bag. I’m missing more stuff this time around, it seems. Nail clippers, where are you!? 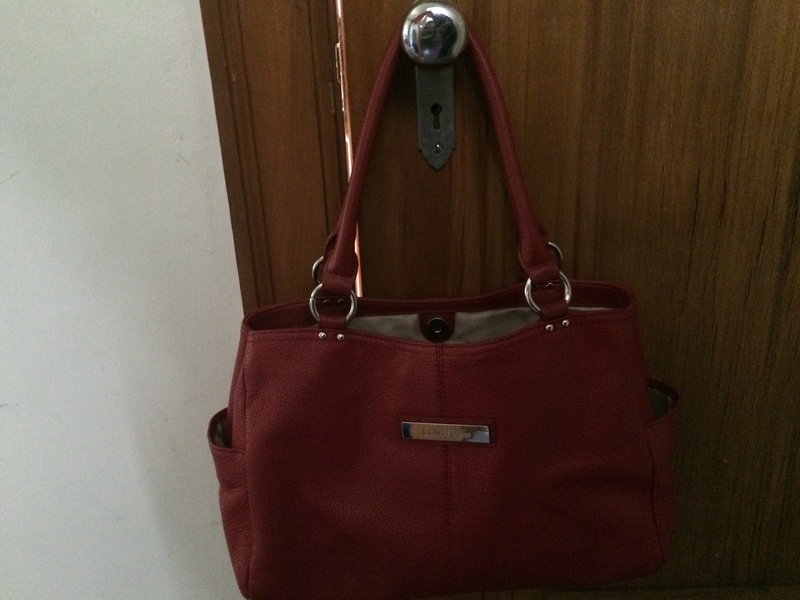 This entry was posted in thrifting, Uncategorized and tagged baggallini, calvin klein, coach, fossil, liz claiborne, pebbled leather, the sak on May 3, 2015 by miriamgmck.